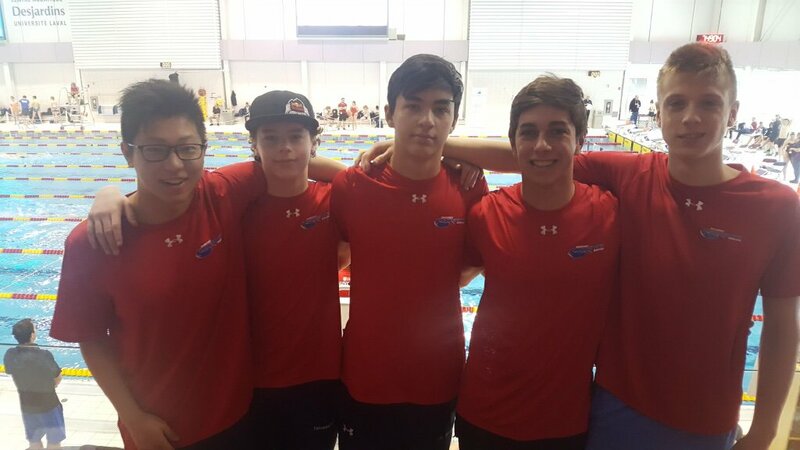 5 Newmarket Stingrays swimmers are in Quebec City racing at the 2019 Eastern Canadian Championships. The meet is being held at Laval University from April 11- 14th. Best wishes to Maksym Klakov(16) Stephen Liu,(16) Nicolas Machell (17), Geoffrey Murack (15), and Brayden Taivassalo(14). Also, a shout out to Brayden Taivassalo who swam a personal best time in all 4 of his races.